The fabulous, ever springy and bouncy Emma Harris has a had a right year of ups and downs, mostly up’s though we’re pleased to say except for when she dropped a box on her foot and broke it. Not good for a gymnast/tumbler/acrobat!! But blimey, did she make a come back and a half!! 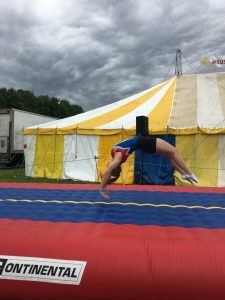 Obviously her plans to go to the World Championships were side-lined but other plans were made instead and Emma made some remarkable achievements. 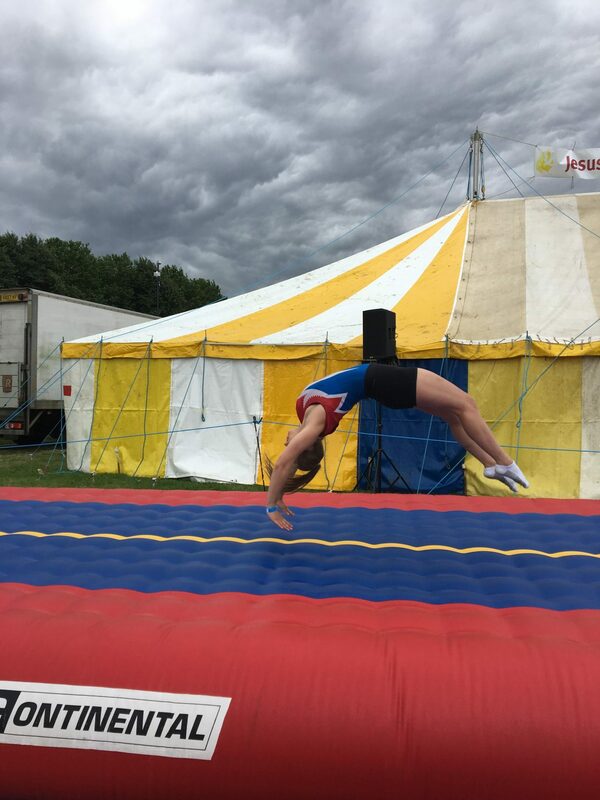 Given that Emma has so much exciting stuff to come, we couldn’t resist asking her if she wouldn’t mind staying on as one of our amateur sponsored athletes and thankfully, she said yes! (we were concerned about exams and things). I am so excited to continue the sponsorship for another year! 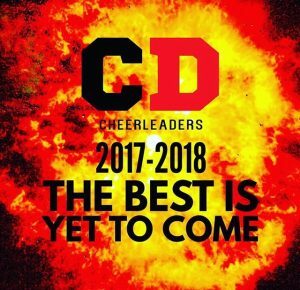 Reflecting back on the past year it’s gone so quick with a lot happening, it wasn’t long ago I could of been in the world championships for cheerleading but unfortunately broke my toe instead. Positives always come out of of a negative situation, I auditioned for display squad at my gymnastics and was accepted and voted as the captain, since then I have done 2 gym Fusion displays with the team at Hurley school and all the way in York at a theatre. It was such an amazing experience and I am very enthusiastic for the next ones coming up in October and November (one is at Birmingham hippodrome!!). I passed my driving theory first time and I’m 8 lessons in with my instructor and loving the independence of driving. It’s been a crazy few weeks with progression exams but they are finally finished and went to wireless festival in London to celebrate with my Friends. Progression exams have made me really think about university and my future, I’ve decided that I am going to take a gap year (in 2020) to Australia and Asia for 6 months to explore, hopefully I’ll be in Tokyo when the Olympics is on! After the gap year I will hopefully go to a university nearby so I can carry on with gymnastics and apply for a sports scholarship/bursary which will pay towards my gymnastics. I will be studying criminology as I want to be in the CID when I’m older. I’m very excited but nervous to see what happens. I have a busy few weeks coming up with work experience, 1 week geography field trip for course work, wards evening and finally a week rest on holiday in Greece! Me, Sara and Zuzana are still work incredibly hard towards are completion in November and have completed one routine and a half. Our balances and individuals are looking much neater and better than before, I can’t wait to carry on working with the amazing Elite Therapy team with yet another exciting and busy year. 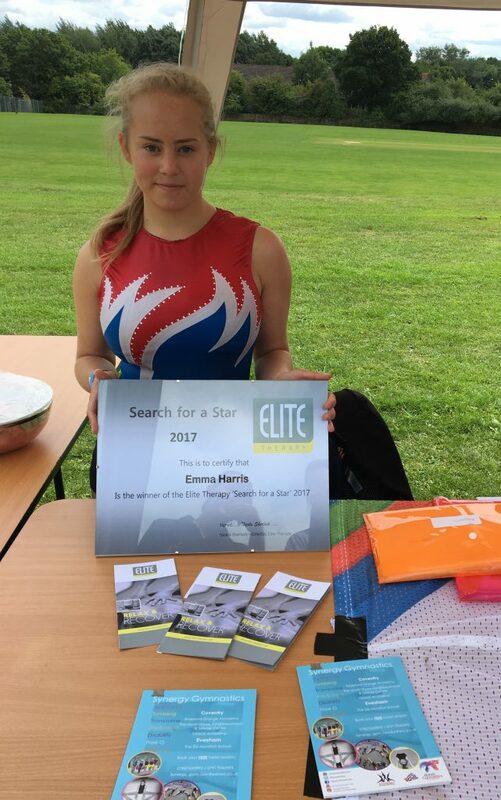 Search for a Star 2017 – A Big Thank You!